The most athletes know that protein is critical in the muscle-building process. Every tissue in the human body consists of proteins that are constantly being broken down and need to be replaced in the body. Eggs are one of the best sources of protein for strength and conditioning athletes; they contain all of the amino acids an athlete needs to gain size and strength. In fact, the protein from eggs is even used in some types of protein powders lately. But let’s find out everything about eggs, from both a health and a performance perspective. It’s true that when you compare egg yolks to other foods they are relatively high in cholesterol, as the average egg contains anywhere between 190 and 215 milligrams. Cholesterol is something that many people should be concerned about, but not so much in the case of eggs. Studies have shown that regularly eating eggs can actually lower your low density lipids (that’s “bad” cholesterol) and raises high density lipids. The dangers of a high cholesterol diet may also have been exaggerated in the media as some studies have proven that people who maintain a low cholesterol diet still may have elevated cholesterol levels. This is because cholesterol actually serves several important functions in the body, and when you don’t get enough, it makes its own. In fact the liver produces about the two thirds of the body’s cholesterol, with dietary intake having very little impact on the overall levels. Limiting dietary cholesterol intake is important but the real danger comes from other risk factors, such as saturated and trans fat in addition to a sedentary lifestyle, overeating and smoking, as research suggests (1). These are greater factors in increasing cholesterol and causing heart related problems than any typical intake of egg yolks. It doesn’t make much sense to separate egg yolks to avoid the cholesterol while eating deep fried fatty foods, pizza and other junk in a normal western diet. An average egg weighs about 60 grams and is composed by 11% of the shell, 58% of the egg white and 31% by yolk (2). The egg white consists primarily of water (88%) and proteins (9%), and the yolk consists of water (51%), lipids (31%) and protein (16%) (2). According to the U.S. Department of Agriculture’s nutrient database, each egg contains 6.28 grams of protein, 72 calories, 4.75 grams of total fat, and small amounts of vitamins and minerals. The key nutrients found in eggs, such as vitamin D, vitamin B12, folic acid and selenium have been associated with the prevention of chronic conditions such as heart disease, high blood pressure, impaired cognitive function and congenital anomalies. A UK study has found that adults who consumed three or more eggs per week had significantly higher intakes of vitamin B12, A and D, niacin (B3), iodine, zinc and magnesium, compared with those that were not consuming eggs (3). The relatively high content of eggs in vitamin D is remarkable, since few foods are recognized as good sources of this vitamin. Overall, the nutritional composition of eggs can be changed via the feed given to hens. This is the case, for example, eggs with high content of docosahexaenoic acid (DHA), an omega-3 fatty acid important for brain development, normal vision, heart health and certain other physical functions (4). Moreover, these fats are desirable because they help in controling hormone regulation and cellular growth in the body. Thus, YES, eggs are indeed wonderful for your body and brain. The harmful effects of eggs have been completely overblown (5). But there is also another story to eggs. For instance, scientists have known that reduced brain serotonin function is involved in stress-related disturbances and may occur under conditions of chronic stress. We also know that serotonin production depends on the availability of tryptophan (TRP). Recently, an egg protein hydrolysate (EPH) was developed that showed a much greater effect on brain TRP availability than pure TRP and other TRP-food sources. Hheating the egg does cause indeed some chemical changes that damage some of the nutritional profile of the egg, but not too much to be concerned about. If you are considering eating raw eggs, then although raw eggs are very easy on the digestive system, it is very common to experience some stomach discomfort when starting a new raw egg regimen. 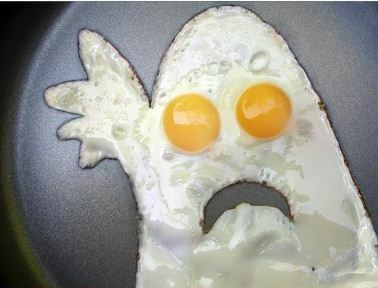 For this reason i would recommend to enjoy your eggs cooked! 2) Food Standards Agency (2002). McCance and Widdowsonsâ? ?s The Composition of Foods, 6th summary edition. Cambridge: Royal Society of Chemistry. 3) Ruxton CHS et al. (2010). Nutritional and health benefits of consuming eggs. Nutrition & Food Science 40:263-279. 4) European Food Safety Authority (2010). 5) Egg-cellent news for most, but not those with diabetes. The harmful effects of eggs were overblown, but the studies show that people with diabetes should still limit how many they eat. Harv Health Lett. Jul (2008) ;33(9):6. 6) Nakamura Y, Iso H, Kita Y, et al. Egg consumption, serum total cholesterol concentrations and coronary heart disease incidence: Japan Public Health Center-based prospective study. Br J Nutr. Nov (2006) ;96(5):921-928. In general, alcohol has a positive and negative side ; In low doses ( i.e a glass of wine per day) has potential health benefits. However, in high doses, it makes us feel like wreck cars. Historically, alcohol has been blamed for many of the world’s tragedies and problems, from the fall of the Roman Empire (1), to the disbanding of many families. Alcohol (a broader term for ethanol, or ethyl alcohol) is one of those substances that blurs the line between food and drugs. Actually it’s a macro-nutrient like carbs, protein and fat with seven calories per gram. However, contrary to the other 3 nutrients, alcohol it’s not an essential nutrient. That means that the body can not use ethanol for fuel (survival and growth). There is ongoing interest on alcohol calories, and people are wondering if alcohol calories count or not. This is because drinkers weigh less than no-drinkers (2) and studies showing accelerated weight loss when fat and carbs are exchanged for an equivalent of calories from alcohol. Specifically, one study compared two weight-loss diets (1500kcal per day). In one diet, subjects got 10% of their total calories from white wine while in the second group the 10% of their calories was coming from grape juice (4). After three months the white wine group lost almost a kilogram more of total body weight, although the difference was not statistically significant. No one knows how this would work out in a long period of time. To explain this phenomenon, I came across with some ideas below. Well alcohol has 5.7 calories due to the thermic effect of food (TEF) which is 20% of the ingested calories. This makes the TEF of alcohol similar to that of Protein (20-35% depending on aminos composition). However, is higher TEF the reason that regular drinkers have a lower body fat percentage? It’s unlikely that the effect on body weight in the general population can be attributed only to the high TEF of alcohol. An other explanation is that alcohol consumption decreases food intake in the long term as research has shown so far(3). Another explanation is that regular alcohol consumption affects nutrient partitioning favourably via improvements in insulin sensitivity. Specifically, alcohol’s activation of AMPk, a metabolism-regulating enzyme, helps you lose fat by increasing insulin sensitivity (5). A lot of people are wondering if alcohol destroys muscle mass. Well, maybe. But you have to drink a lot to reach this level. Research so far, on alcohol’s effect on muscle-protein metabolism is on heavy alcoholics who consume more than 100gr of ethanol per day. This means more that seven drinks per day. Almost 2/3 of these people end up with a condition called “alcohol myopathy”. This condition is characterized by muscle weakness and atrophy, frequent falls, walking difficulties. The high volume of alcohol tends to displace essential nutrients, which means casual drinkers aren’t likely to lose their hard-earned muscle mass There is another study though, in which it was shown that 2-3 beers per day decreased testosterone levels by 6.8% during a 3 week period (6). However, it’s worth to mention, that this consumption of beer increased “dehydroepiandrosterone sulfate” (DHEAS) by 16.5%. A review in 2003 suggests that low serum levels of DHEAS may be associated with coronary heart disease in men, but it was insufficient to determine whether DHEA supplementation would have any cardiovascular benefit. Thus, DHEAS elevation might have a potential to decrease cardiovascular disease risk. This topic is a bit hard to investigate since it is difficult to get approval for a study in which athletes get drunk after a workout. It’s even harder to get approval for a study to investigate getting drunk before a workout. However, some kind of studies on this topic have been done. From the few studies available, in one study (7), subjects were given the equivalent of six drinks and then tested for strength and endurance. Contrary to what researchers expected, the alcohol had no negative effect on any of the strength tests. In addition to that, there was no increase in creatine kinase which is an indicator of muscle damage. When it comes to recovery, a study looked at the acute effect of alcohol intoxication on post-exercise hormonal response, using professional weight lifters (8). In this study, subjects were divided in two groups. The first one was given the equivalent of five drinks after a workout. The researchers examined all hormonal reactions for the next 5 hours. Surprisingly, no differences were seen in Testosterone and other related hormones in either group, except from a modest increase of cortisol levels. 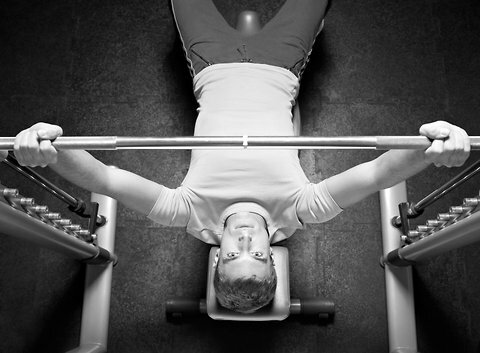 When it comes to post-workout strength, research has been shown mixed results. In one study, where it was used eccentric training to examine the alcohol effects post-workout, researchers noticed an impaired recovery in the trained muscles. However, we should take into account that the program followed was really rough, which itself is hard to recover from. A different study that looked at the results of post consumption alcohol (120g) of exhaustive endurance training, noticed a significant decrease of testosterone levels which were suppressed till the next day. Taking into consideration all these information, you have to be either a heavy drinker or undertaking extremely tough workouts, in order to have a problem with alcohol. Unless you are in a habit of going bar-drinking every day after 50reps of max eccentric leg extensions, this stuff does not apply to you. Now that you have all the information you need to know about alcohol it’s time to learn how alcohol works for fat loss, or at least to prevent fat gain. Especially when you do not have to count calories and while drinking as much as you want. Just be aware that there are better and worse choices out there. 1) For this specific day, limit fat and carbs to 0.3g/kg of body weight and 1,5g/kg b.w respectively. 2) Get all carb calories from veggies and tag-along carbs in protein sources. 3) Try to select good sources of alcohol such as: dry wine (almost 0g of carbs) vs sweet wine (4-6g of carbs). Other drinks with zero carbs are gin, rum, tequila, vodka and whiskey. 4) Eat as much protein as you want. Due to the limit on dietary fat, you need to get your protein from lean sources. These are: cottage cheese, protein powder, chicken, turkey, tuna and egg whites. 5) If you are following a fat loss programme, this method should be limited to once per week. Apply this with good judgement and don’t go out and do something stupid now. Remember, this a short-term strategy for those that want to be able to drink freely without significantly impacting fat loss progress or causing unwanted fat gain. From an overall perspective, if you don’t already drink, there is no reason to start. If you drink a lot, you risk a lot. And if you drink in moderation by following simple guidance like the steps above, there is no reason to quit. 2. Yeomans et al. 2010. Alcohol, appetite and energy balance: Is alcohol intake a risk factor for obesity? 3. Kokavec, 2008. Is decreased appetite for food a physiological consequence of alcohol consumption? Sport Drinks: Wash your mouth out (or not)? Three to four years ago, exercise scientists said that they have stumbled on an amazing discovery for endurance athletes.Specifically, athletes could improve their performance in intense bouts of exercise, lasting an hour or so, if they just rinse their mouths with a carbohydrate solution, without even swallowing it. From then, more and more research is being conducted on this topic to find out how and when exactly this amazing technique works! But let’s put things on a row…It is already known that the consumption of sports drinks during prolonged exercise (> 1 hour) improves athletic performance (1,2). Specifically, these drinks replace the energy and fluids lost during exercise by providing a ready fuel for the working muscles. Several studies, however, have also reported that ingestion of carbohydrates before and during exercise of a relative short (~1h) and intense nature (>75%VO2max) leads to performance improvements (3,4,5). 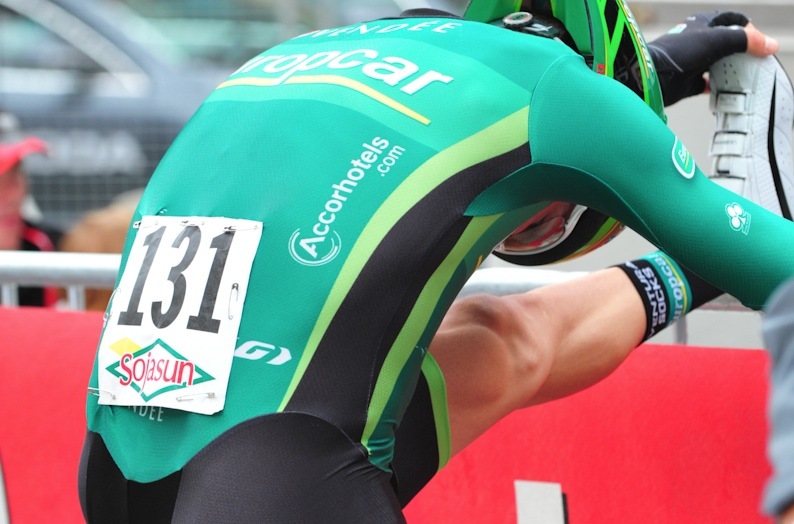 Moreover, benefits to performance have been reported in both cycling (3,4) and running (5). It has been suggested that a higher glucose oxidation rate caused by carbohydrate ingestion and that explains the improvement. However, Jeukendrup and colleagues (3) argued that this is not the case in high intensity exercise, as it was estimated that only 5-15g of exogenous carbohydrate are used during the first hour of exercise. This relatively small contribution to the total carbohydrate oxidation rate was thought too small to affect performance. Despite the lack of a clear metabolic rationale, both carbohydrates and fluids have been reported to enhance time trial performance independently (7). Below and his colleagues (1995) have already proved that providing both fluid and carbohydrate improved cycling time trial performance by approximately 6% compared to placebo. Additionally, the beneficial effect of fluid and carbohydrate ingestion during this type of exercise was reported to be additive. Although improvements from fluids were attributed to maintaining a higher cardiac output and attenuating the increases in core temperature and heart rate, carbohydrates did not find to influence neither core temperature nor heart rate. Furthermore, there were not found any significant effects of carbohydrate ingestion on blood glucose concentrations or carbohydrate oxidation rates. Thus, there was no clear metabolic explanation for the performance improvement by carbohydrates. This unexplained phenomenon of a clear metabolic benefit when subjects ingest carbohydrate during short duration and intense exercise has led authors to hypothesize that carbohydrate may influence “central” or “non-metabolic” pathways during exercise. To investigate this potential central effect of carbohydrate on performance, authors have focused on the provision of glucose or fluid to the peripheral circulation by asking their subjects to simply mouth rinse the carbohydrate solution instead of ingesting it, during 1 hour running or cycling under laboratory conditions. These drinks according to researchers were well known commercial drinks (Lucozade, Gatorade, etc.) or non-flavored drinks (maltodextrin). Despite some differences in: the taste of drinks, the protocols used and the different type of exercise tested, the results were very positive, showing that having simply carbohydrates in the mouth, athletes managed to improve their performance as much as 3% (8,9). Moreover, one of the studies used functional magnetic resonance imaging to find out which regions of the brain are affected when rinsing these drinks during exercise. 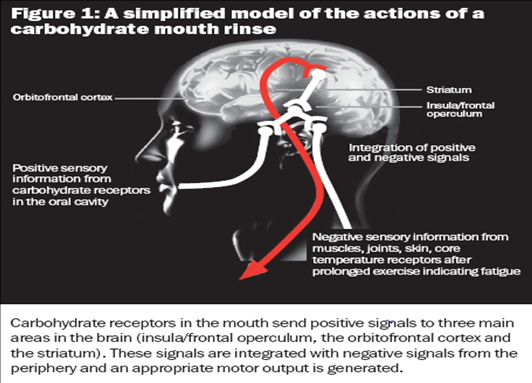 Researchers from this study demonstrated that the positive effects of carbohydrate mouth rinsing probably occurred due to receptors in the mouth that modulate central brain pathways associated with motivation (Figure 1). This consecutively impacts on the self-selection of exercise intensities during time trial performance. However, it is important to mention that the concentrations of glucose and maltodextrin solution used in these MRI studies have been more concentrated (18%) than the solutions used in studies that have shown a performance improvement (6-6.4%). Even so, these studies provide a significant insight into the brain response to the presence of carbohydrate in the mouth. However, a recent study at the University of Maastricht in the Netherlands (10) reported that performance benefits associated with carbohydrate mouth rinsing are not apparent following the consumption of a pre-exercise meal. What happened, they asked, if athletes ate breakfast before rinsing with carbohydrates; because no athlete under normal circumstances would stay “hungry” before participating in important events. Moreover, the positive effects of mouth rinsing sport drinks failed also to show evidence from a recent study conducted in Harokopio University (11), led by Dr. Arnaoutis & Dr. Kavouras. The researchers examined the role of «mouth rinse» in dehydrated athletes. The results demonstrated that ingestion of even a small amount of water increased exercise time in dehydrated subjects possibly through activation of pharyngeal receptors. What’s more two more studies were published in 2011 demonstrating that mouth rinsing carbohydrate solutions do not affect maximum strength or strength endurance performance (12,13). Generally, carbohydrate “mouth rinse” as a technique is still in early stage. In conclusion, a few studies have investigated the effects of carbohydrate mouth rinsing on endurance performance. Most of these studies have concluded that mouth rinsing with carbohydrate solutions during exercise of approximately 1 hour can have a beneficial effect when subjects are fasted. Moreover, no studies have reported any adverse effects on performance. 1) Mouth rinsing sports drinks can improve the performance of one hour or less duration endurance exercise even when athletes do not swallow them. 2) If you are about to use this technique, you must follow it every 10 minutes. 3) The concentration of the drinks that have proved so far that they act positively are of 6% . 4) If you have eaten your meal 1-2 hours before your race, the technique of «mouth rinse» might not have the desired and expected effects. 5) Of course, spitting out a carb rinse won’t satisfy hunger, so endurance athletes are probably better off getting the added nutrition from eating or drinking during a race. 6) Carbohydrate mouth rinse is not beneficial for maximal sprint performance. 7) If you’re already dehydrated even before you start your race, consuming even small amounts of water during exercise is more beneficial than just rinsing it. No eating, no wrappers, no muscle cramps, just gargle and spit! 4) Anantaraman, R., Carmines, A., Gaesser, G., Weltman, A. (1995). Effects of carbohydrate supplementation on performance during 1 hour of high-intensity exercise. Int J Sports Med. 16:461-465. 11) Arnaoutis G. et al. (2011). Water ingestion improves performance compared with mouth rinse in dehydrated subjects. 12) Chong et al. (2011). Effect of a carbohydrate mouth rinse on maximal sprint performance in competitive male cyclists. 13) Painelliet al. (2011). The effect of carbohydrate mouth rinse on maximal strength and strength endurance. Αν αγαπάτε τη γεύση του καφέ, να ξέρετε ότι δεν είστε οι μόνοι..πάνω από 400 δισεκατομμύρια φλιτζάνια του μαύρου απολαυστικού-παγωμένου ή ζεστού – ροφήματος καταναλώνονται κάθε χρόνο σε ολόκληρο τον κόσμο. Τόσο η τονωτική του δράση, όσο και η ιδιαίτερη γεύση του έχει φανατικούς λάτρεις: όλοι τους θα πρέπει να χρωστούν ευγνωμοσύνη στους Αιθίοπες, από τη χώρα τους κατάγεται το δένδρο του καφέ. Ένας βοσκός στην Αβησσυνία (τη σημερινή Αιθιοπία), ονόματι Kaldi, παρατήρησε ότι οι κατσίκες του χόρευαν στα πίσω πόδια μετά τη βρώση κόκκινων καρπών. Ο Kaldi έδωσε τους καρπούς αυτούς στο τοπικό μοναστήρι, όπου με τη σειρά τους οι μοναχοί τους χρησιμοποίησαν προκειμένου να παραμένουν σε εγρήγορση κατά τη διάρκεια των προσευχών τους. Σύμφωνα με επιδημιολογικές μελέτες, σήμερα πάνω από το 50% του παγκόσμιου πληθυσμού πίνει καφέ. 1) Η καφεΐνη έχει αποδειχθεί ότι βοηθάει την απόδοση στην αερόβια γυμναστική. Ωστόσο για την αναερόβια και μικρής διάρκειας άσκηση οι μελέτες που έχουν γίνει μέχρι τώρα είναι περιορισμένες. Σύμφωνα όμως με τελευταίες έρευνες η καφεΐνη μπορεί να σας βοηθήσει να ασκηθείτε περισσότερο και σκληρότερα ακόμα και σε ένα αναερόβιο πρόγραμμα γυμναστικής: Σύμφωνα με πρόσφατες μελέτες (εδώ και εδώ), οι νέοι άνδρες που έπιναν ισοτονικά ποτά χωρίς ζάχαρη αλλά με καφεΐνη μια ώρα πριν τη γυμναστική ήταν σε θέση να εργαστούν για ένα μεγαλύτερο χρονικό διάστημα και να κάνουν περισσότερες επαναλήψεις, σε σχέση με ένα placebo ισοτονικό ποτό (χωρίς καφεΐνη). 2) Η καφεΐνη μπορεί να βελτιώσει την ακρίβεια σας όταν αθλείστε: Μια άλλη πρόσφατη μελέτηδιαπίστωσε ότι οι ποδοσφαιριστές που κατανάλωναν καφέ πριν την προπόνηση τους ήταν σε θέση να κάνουν καλύτερη “τρίπλα”, “κεφαλιά” και κατάφεραν να κλωτσήσουν την μπάλα με μεγαλύτερη ακρίβεια και ευελιξία. Έτσι, η καφεΐνη όχι μόνο τους έκανε πιο προσεκτικούς, αλλά βελτίωσε και λεπτές κινητικές ικανότητες τους. 3) Η καφεΐνη μπορεί να σας βοηθήσει να είστε πιο “γρήγοροι”: Οι επιστήμονες και πολλοί αθλητές γνωρίζουν εδώ και χρόνια ότι ένα φλιτζάνι καφέ πριν από την προπόνηση μπορεί να βελτιώσει τις επιδόσεις, ιδιαίτερα σε αθλήματα αντοχής όπως το τρέξιμο μεγάλων αποστάσεων και της ποδηλασίας. Η καφεΐνη έχει αποδειχθεί ότι αυξάνει τον αριθμό των λιπαρών οξέων που κυκλοφορούν στο αίμα, τα οποία επιτρέπουν στους αθλητές να τρέχουν ή να κάνουν πεντάλ για περισσότερη ώρα (αφού περιορίζουν την χρήση του γλυκογόνου και χρησιμοποιούν τα διαθέσιμα λιπαρά οξέα). Ως αποτέλεσμα, η καφεΐνη, η οποία είναι νόμιμη σύμφωνα με τους κανόνες της Διεθνούς Ολυμπιακής Επιτροπής, είναι το πιο δημοφιλές εργογόνο βοήθημα στον αθλητισμό. Δρομείς, μαραθωνοδρόμοι, ποδηλάτες, κωπηλάτες, κολυμβητές, και οι παίκτες του τένις μπορούν να πάρουν όλοι μια ώθηση στην ταχύτητα τους από την καφεΐνη. 4) Η καφεΐνη μπορεί να σας βοηθήσει να αισθάνεστε λιγότερο κουρασμένοι: Οι ερευνητές στην βρετανική μελέτη που αναφέραμε παραπάνω απέδειξαν ότι το αίσθημα της κούρασης μετά από την προπόνηση ήταν πολύ χαμηλότερο για τους αθλητές οι οποίοι είχαν καταναλώσει καφεΐνη πριν την προπόνηση, ακόμη και αν είχαν εκπονηθεί για μεγαλύτερο χρονικό διάστημα. 6) Ο καφές μπορεί να γίνει ένα πολύ νόστιμο ρόφημα: Latte, cappuccino, espresso κτλ! Μετά από αυτές τις πληροφορίες, πιθανότατα πολλοί από σας θα ανατρέξετε στην κουζίνα σας ή την πλησιέστερη καφετέρια για ένα “μαγικό” φλιτζάνι καφέ, το ρόφημα που κάποτε οι χωρικοί της Αιθιοπίας απλά ανακάτευαν στη σούπα τους για να έχουν περισσότερη αντοχή! Ίσως έχετε ακούσει την ιστορία του Πορτογάλου μαραθωνοδρόμου Lazaro. Ο Lazaro λοιπόν είχε διαπιστώσει ότι όσο πιο πολλά υγρά έχανε κατά τη διάρκεια ενός μαραθωνίου τόσο χειρότερη ήταν η απόδοση του. 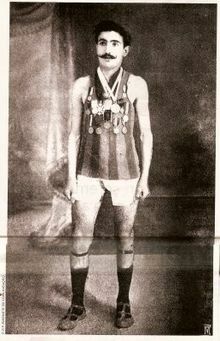 Έτσι, ο Lazaro αποφάσισε να νικήσει την αφυδάτωση μέσω εφίδρωσης τερματίζοντας την «τελείως» στους Ολυμπιακούς Αγώνες του 1912. Συγκεκριμένα, χρησιμοποιώντας ένα αδιάβροχο παχύρρευστο γράσο επικάλυψε όλο του το σώμα και ενώ κατάφερε να τερματίσει τον αγώνα, έκανε μια πολύ άσχημη κούρσα, ενώ μετά τον τερματισμό πέθανε από θερμοπληξία, αφού το σώμα του δεν μπορούσε να αποβάλλει την θερμότητα μέσω του ιδρώτα. Το μήνυμα που παίρνει κανείς από την ιστορία είναι προφανές: η εξάτμιση του ιδρώτα είναι μια φυσική και χρήσιμη διαδικασία του ανθρώπινου οργανισμού, μέσω της οποίας ο άνθρωπος ελέγχει τη θερμοκρασία του σώματος του. Κατά τη διάρκεια της άσκησης όμως, ο οργανισμός χάνει και πολύτιμες ποσότητες υδατανθράκων που είναι η αγαπημένη καύσιμη ύλη των μυών σε αγωνίσματα αντοχής. Έτσι λοιπόν, στο συγκεκριμένο ποστ θα επεκταθούμε μόνο στο ρόλο των υδατανθράκων και σε έναν πρωτοπόρο τρόπο κατανάλωσης τους! Αν κάνετε πεζοπορίες, ή είστε αθλητής δρόμου ή τριάθλου, ίσως αυτό το άρθρο το βρείτε χρήσιμο. Είναι ήδη γνωστό πως η κατανάλωση αθλητικών ποτών κατά τη διάρκεια της παρατεταμένης άσκησης (>1 ώρα) βελτιώνει την αθλητική απόδοση. Συγκεκριμένα, τα ποτά αυτά αναπληρώνουν την ενέργεια και τα υγρά που χάνονται κατά τη διάρκεια της άσκησης προσφέροντας ένα έτοιμο ενεργειακό υπόβαθρο για να συνεχίσουν οι μύες μας να λειτουργούν στους ρυθμούς που θέλουμε. Έως εδώ καλά και γνωστά όλα αυτά. Τι γίνεται όμως σε μικρότερης διάρκειας άσκηση ακόμα και όταν η ένταση παραμένει υψηλή; Σε αυτή τη περίπτωση, το γλυκογόνο που έχουμε στους μυς μας είναι υπεραρκετό για να καλύψει τις ανάγκες μας όταν αθλούμαστε για <1 ώρα, εφ’όσον έχουμε καταναλώσει το γεύμα μας 2-3 ώρες πριν, είτε αυτό είναι πρωινό ή μεσημεριανό. Παρ’ολα αυτά, έρευνες έχουν δείξει πως ακόμα και σε τέτοιας διάρκειας και έντασης άσκηση, τα αθλητικά ποτά βελτιώνουν την αθλητική απόδοση. Επειδή όμως οι ερευνητές δεν μπορούσαν να δώσουν μια «μεταβολική» εξήγηση για το φαινόμενο αυτό, θεώρησαν πως ίσως η δράση των υδατανθράκων να είναι εγκεφαλική. Έτσι, σε μια σειρά ερευνών ζητήθηκε από τους αθλητές απλά να ξεπλένουν το στόμα τους με αθλητικά ποτά (το λεγόμενο «mouthrinse»), κατά τη διάρκεια 1 ώρας τρέξιμο ή ποδηλασία στα πλαίσια ενός εργαστηρίου. Τα ποτά αυτά ανάλογα με την έρευνα ήταν άλλοτε γνωστά ποτά εμπορίου (Lucozade, Gatorade κτλ) ή και ποτά χωρίς γεύση (περιέχοντας την άγλυκη μαλτοδεξτρίνη). Παρ’όλες λοιπόν τις διαφορές στη γεύση των ποτών, στα πρωτόκολλα που χρησιμοποιήθηκαν και στο διαφορετικό τύπο άσκησης που εξετάστηκε (ποδήλατο ή τρέξιμο 1 ώρας), τα αποτελέσματα ήταν πολύ θετικά, δείχνοντας πως έχοντας απλά τους υδατάνθρακες στο στόμα τους οι αθλητές κατάφεραν να βελτιώσουν την απόδοση τους ακόμα και ως 3% (σημαντικό ποσοστό για αθλητές υψηλού επιπέδου). Στη συνέχεια, έρευνα στο πανεπιστήμιο του Μanchester, που χρησιμοποίησε λειτουργική μαγνητική τομογραφία, απέδειξε πως οι υδατάνθρακες στη στοματική κοιλότητα διεγείρουν κέντρα ευχαρίστησης του εγκεφάλου αλλά και την όρεξη για άσκηση (Figure 1). Τα αποτελέσματα λοιπόν των ερευνών αυτών είναι πολύ “ελκυστικά”, αφού προσφέρουν την πρακτική επιλογή αποφυγής πρόσληψης ενέργειας (συνεπώς θερμίδων) διατηρώντας παράλληλα τα ευεργετικά αποτελέσματα των υδατανθράκων που αναφέρθηκαν πιο πάνω, και δημιουργώντας ένα πρόσφορο έδαφος για συνεχόμενη ευφορία παρ’όλη την καταπόνηση των μυών μας. Ωστόσο, μια πρόσφατη έρευνα στο Πανεπιστήμιο του Maastricht στην Ολλανδία ήλθε να καταρρίψει τα πρωτοπόρα αυτά νέα υποστηρίζοντας πως το φαινόμενο αυτό δεν παρατηρείται όταν οι αθλητές είχαν καταναλώσει ένα πλήρες γεύμα 2 ώρες πριν τον αγώνα. Η σκέψη του Βeelen και των συνεργατών του να εφαρμόσουν αυτό το διαφορετικό πρωτόκολλο εξετάζοντας το λεγόμενο «ξέπλυμα», βασιζόταν στη λογική πως κανένας αθλητής σε κανονικές συνθήκες δεν θα έμενε «νηστικός» πριν πάρει μέρος σε μια μεγάλη και σημαντική διοργάνωση. Επίσης, η θετική επίδραση του «mouthrinse» απορρίφθηκε και από μια πρόσφατη έρευνα που πραγματοποιήθηκε στο Χαροκόπειο Πανεπιστήμιο, με επικεφαλή τον κ.Κάβουρα & Γιάννη Αρναούτη εξετάζοντας το ρόλο του «mouthrinse» σε αφυδατωμένους αθλητές. Σύμφωνα με τα αποτελέσματα, οι ερευνητές ισχυρίζονται πως στην περίπτωση αφυδατωμένων αθλητών, η κατανάλωση έστω και μικρών ποσοτήτων νερού έχει θετική επίδραση στην απόδοση των αθλητών σε σύγκριση με το «mouthrinse» που δεν βρέθηκε να σημειώνει τις θετικές επιδράσεις που προαναφέρθηκαν..
Γενικά, το «mouthrinse» σαν τεχνική προς εφαρμογή και συζήτηση έχει μέλλον ακόμα. Οι έρευνες που έχουν γίνει μέχρι τώρα δείχνουν μεικτά αποτελέσματα. Παρ’ολα αυτά, καμία έρευνα μέχρι τώρα δεν έχει δείξει αρνητικά αποτελέσματα στην απόδοση, ωστόσο οι έρευνες αυτές γίνονται στα πλαίσια ενός εργαστηρίου και όχι σε κανονικές συνθήκες. Σε γενικές γραμμές, κάθε αθλητής που σκέφτεται να δοκιμάσει την παραπάνω τεχνική ας ακολουθήσει τις παρακάτω οδηγίες με τα έως τώρα δεδομένα. 1) Το «ξέπλυμα» με αθλητικά ποτά μπορεί να βελτιώσει την απόδοση μιας ώρας η μικρότερης διάρκειας άσκησης αντοχής, ακόμα και όταν δεν υπάρχει κατάποση αυτών. 2) Άμα χρησιμοποιήσετε αυτή τη τεχνική, πρέπει να την ακολουθείτε κάθε περίπου 10 λεπτά. 4) Αν έχετε φάει 1-2 ώρες πριν, η τεχνική του «mouthrinse» ίσως να μην έχει το επιθυμητό αποτέλεσμα. 5) Προσέχετε να μην καταναλώνετε ποτά υψηλών σε ποσοστό υδατανθράκων που μπορεί να προκαλέσουν δυσφορία. 6) Τέλος, αν είστε ήδη αφυδατωμένος πριν ξεκινήσετε να αθλείστε, ακόμα και μικρές ποσότητες νερού κατά τη διάρκεια της άσκησης είναι προτιμότερες από την εφαρμογή του «mouthrinse». Οι κράμπες είναι ένα συχνό φαινόμενο που παρατηρείται στους αθλητές, για το οποίο οι γνώμες και οι απόψεις για τα αίτια που τις προκαλούν συνεχώς διίστανται. Αυτό οφείλεται κυρίως σε δύο λόγους. Πρώτον δεν έχει γίνει πολύ έρευνα γύρω από το θέμα και δεύτερον, υπάρχουν πολλά είδη κράμπας για τα οποία η λύση στο ένα είδος δεν σημαίνει ότι φέρει επίλυση και σε ένα διαφορετικό είδος αυτής. Οι διατροφικές θεραπείες για τις κράμπες ξεκινάνε από το 1800. Οι ανθρακωρύχοι που εργάζονταν σε ζεστό και υγρό περιβάλλον, πρόσθεταν αλάτι στη μπύρα και στο γάλα τους για να αποφύγουν τις κράμπες καθώς δούλευαν σε αντίξοες συνθήκες και έχοντας ένα φτυάρι στο χέρι όλη μέρα. Παρά την συχνή εμφάνιση της κράμπας κατά τη σωματική άσκηση είναι εντυπωσιακό το πόση λίγη έρευνα έχει γίνει σε αυτόν τον τομέα τον αιώνα που πέρασε από τότε. Οι κράμπες γενικά είναι δύσκολο να μελετηθούν γιατί είναι σπάνιες, απρόβλεπτες και συμβαίνουν μόνο για λίγα δευτερόλεπτα. Είναι επίσης δύσκολο για τους επιστήμονες να εισχωρήσουν μια βελόνα στο πόδι κάποιου εν ώρα κράμπας και να πάρουν μια βιοψία! Έτσι πριν εξετάσουμε την επιστημονική αξία της διατροφής για τη θεραπεία της κράμπας είναι σημαντικό να κατανοήσουμε τους διαφορετικούς τύπους της. Οι κράμπες γενικά έχουν θεωρηθεί ως μικρές, επώδυνες μυικές συσπάσεις. Μπορούν να εμφανιστούν σε διάφορες καταστάσεις: όταν ξαπλώνετε στο κρεβάτι πριν κοιμηθείτε, σε έγκυες γυναίκες, σε έκθεση σε υπερβολική ζέστη ή κρύο, κατά τη διάρκεια ακραίας σωματικής εργασίας και κατά τη διάρκεια του αθλητισμού. Στην άσκηση υπάρχουν δύο τύποι κράμπας. Οι κράμπες σε ολόκληρο το σώμα (αρκετά ασυνήθιστο αλλά εξαιρετικά οδυνηρό για τον αθλητή) και οι κράμπες των μεμονωμένων μυικών ομάδων. Όταν μιλάμε για κράμπες σε αθλητές ποδηλασίας, δρομείς ή κάποιου άλλου αθλήματος, αναφερόμαστε στις κράμπες των μεμονωμένων μυικών ομάδων γνωστές και ως Exercise Associated Muscle Cramps (EAMC). Ας δούμε κάθε παράγοντα τι μερίδιο ευθύνης φέρει. Πρώτον, αυξάνονται οι πιθανότητες εμφάνισης κράμπας λόγω αφυδάτωσης; Υπάρχουν διάφοροι τρόποι που μπορείτε να ορίσετε την αφυδάτωση. Μειωμένο ολικό νερό σώματος, μια αλλαγή στη συγκέντρωση διαλυτών σωματιδίων (ωσμωτικότητα) ή σε συγκεκριμένους ηλεκτρολύτες στο αίμα (π.χ νάτριο) όπως και αλλαγές στο σωματικό βάρος (απώλειες από ιδρώτα) ξεκινώντας από ένα καλά ενυδατωμένο «σημείο εκκίνησης». Μπορεί λοιπόν μια αλλαγή στο ολικό νερό σώματος η στο σωματικό βάρος να αυξήσει τις πιθανότητες για κράμπα; Οι λίγες ερευνες, (όπως αυτή και αυτή), στη βιβλιογραφία πάνω σε αυτό το θέμα υποστηρίζουν πως δεν υπάρχει τέτοια συσχέτιση. Δεν υπάρχει καμία έρευνα που να δείχνει πως οι αθλητές που έπαθαν οξεία κράμπα ήταν περισσότερο αφυδατωμένοι από αυτούς που δεν έπαθαν (αθλητές ίδου φύλου, στο ίδιο αγώνισμα με παρόμοιες αποδόσεις). Ας εξετάσουμε τώρα την αύξηση της ωσμωτικότητας ή του νατρίου στο αίμα. Αυτή η θεωρία έχει δοκιμαστεί με δύο τρόπους. Σε τριαθλητές του Ironman και υπερδρομείς κατά τη διάρκεια του αγώνα οι αλλαγές στην ωσμωτικότητα του αίματος και του νατρίου δεν κατάφεραν να συσχετιστούν με την εμφάνιση κράμπας. Υπάρχουν ωστόσο μερικές έρευνες που δείχνουν αυξημένη πιθανότητα για κράμπες στους αθλητές τέννις και στους αθλητές του Αμερικάνικου ποδοσφαίρου όταν αυτοί έχαναν μεγάλες ποσότητες νατρίου μέσω του ιδρώτα, ωστόσο, οι κράμπες αυτές είναι ολικού σώματος και όχι κάποιας συγκεκριμένης μυικής ομάδας. Μόνο σε μία έρευνα έχει βρεθεί ότι η κατανάλωση αθλητικών ποτών κατά τη διάρκεια της άσκησης καθυστερεί την προσβολή από κράμπα σε σχέση με αυτούς που δεν έπιναν καθόλου. Παρ’ολα αυτά στην έρευνα αυτή, και οι δυο ομάδες προσβλήθηκαν από κράμπα τελικά και επίσης το αθλητικό ποτό περιείχε και υδατάνθρακες, που σημαίνει ότι ίσως η επίδραση του νατρίου η των υγρών αποκλειστικά να μην ήταν ο κύριος παράγοντας καθυστέρησης εμφάνισης της μυικής κράμπας. Όσο για τους υπόλοιπους ηλεκτρολύτες, όπως κάλιο, ασβέστιο και μαγνήσιο, οι αποδείξεις προέρχονται από μελέτες συγκεκριμένων ατόμων και περιπτώσεων χωρίς ομάδα ελέγχου, που όλες έχουν δημοσιευθεί το 1920 ή το 1930! Μετά το 1980, 4 έρευνες έχουν δημοσιευθεί δείχνοντας καμία συσχέτιση μεταξύ της συγκέντρωσης ηλεκτρολυτών και την εμφάνιση κραμπών. Στις συγκεκριμένες έρευνες δεν υπήρχαν διαφορές στα επίπεδα ηλεκτρολυτών τη στιγμή που εμφανίστηκε η κράμπα με άλλες στιγμές κατά τη διάρκεια της άσκησης. Αυτό ίσως δεν προκαλεί και κάποια έκπληξη αφού οι κράμπες EAMC εμφανίζονται σε μια συγκεκριμένη μυική ομάδα. Πως γίνεται λοιπόν μια ανισοκατανομή των ηλετρολυτών ολόκληρου του σώματος να προκαλεί κράμπα μόνο σε μια μικρή μυική ομάδα; Υπάρχουν και μερικά άλλα συμπληρώματα διατροφής που διατίθενται για την επίλυση της κράμπας όπως επίσης μερικοί ιατροί προτείνουν την «κινίνη». Ωστόσο η κινίνη είναι μια δυνατή χημική ουσία και η χρήση της δεν επιτρέπεται από τους οργανισμούς φαρμάκων σε πολλές χώρες (Περισσότερα για την κινίνη εδώ). Μερικές από αυτές τις θεραπείες είχαν επιτυχία σε κράμπες προκαλούμενες από παθολογικές καταστάσεις, και όχι από άσκηση. Επίσης τα εν λόγω προϊόντα δεν έχουν ερευνηθεί σε κράμπες τύπου EAMC. Έτσι, δεν υπάρχει κανένα απολύτως στοιχείο για την παρότρυνση των αθλητών στη χρήση τέτοιων σκευασμάτων. · Αύξηση της έντασης της άσκησης κατά πολύ περισσότερο από την ένταση κατά τη διάρκεια της προπόνησης σας. · Αθλείστε για περισσότερη ώρα από όσο είστε συνηθισμένος/η να αθλείστε. · Το να κάνετε κάποιο άλλο άθλημα ενώ δεν είστε προετοιμασμένος γι’αυτο. Π.χ ένας ποδηλάτης να πάρει μέρος σε έναν Μαραθώνιο..
Είναι επίσης ενδιαφέρον να πούμε ότι ο όγκος ή η ένταση της προπόνησης δεν προβλέπει τον κίνδυνο για εμφάνιση κράμπας. Αντιθέτως, οι αθλητές που είναι αρκετά φιλόδοξοι και προσπαθούν να υπερβούν τα όρια τους οποιαδήποτε ημέρα, φαίνεται να έχουν αυξημένο κίνδυνο για εμφάνιση κράμπας.Έτσι η διατροφή δεν φαίνεται να παίζει σημαντικό ρόλο στην εμφάνιση κραμπών. Παρ’όλα αυτά αρκετοί επιστήμονες και διαιτολόγοι συνεχίζουν να παροτρύνουν τους αθλητές τους για την κατανάλωση διαφόρων συμπληρωμάτων (χωρίς αποδείξεις πλεονεκτήματος) για την πρόληψη της εμφάνισης κράμπας τύπου EAMC. Ωστόσο είναι απίθανο κάποιο από τα συμπληρώματα αυτά να είναι επιβλαβή για την υγεία. Εάν πάλι προσβάλλεστε από κράμπες τύπου ολικού σώματος, τότε ίσως η λύση βρίσκεται στην έλλειψη νατρίου. Η κατανάλωση αθλητικών ποτών και φαγητών υψηλά σε συγκέντρωση νατρίου τότε ίσως λύσει το πρόβλημα. Ωστόσο, για τους περισσότερους αθλητές ποδηλασίας, κολύμβησης κτλ το πρόβλημα δεν βρίσκεται εκεί. Για να ελαχιστοποιήσετε λοιπόν την εμφάνιση κράμπας τύπου ΕΑΜC καλό θα ήταν να σιγουρευτείτε ότι κάποιες προπονήσεις σας γίνονται στην ίδια ένταση με αυτήν του αγώνα. Επίσης, βεβαιωθείτε ότι το ποδήλατο σας είναι καλά ρυθμισμένο για εσάς. Η επαρκής κατανάλωση υδατανθράκων επίσης ίσως βοηθήσει την αποφυγή της εμφάνισης κράμπας κατά τη διάρκεια του αγώνα, αν και αυτό δεν έχει ακόμα εξακριβωθεί. Ωστόσο τα οφέλη της κατανάλωσης υδατανθράκων κατά τη διάρκεια μεγάλης διάρκειας αγωνισμάτων έχουν ήδη εξακριβωθεί για άλλους λόγους. Τέλος εάν προσβάλλεστε από κράμπες τύπου ΕΑΜC σε ένα συγκεκριμένο μυ, θυμηθείτε ότι το τέντωμα του μυ αυτού θα σας ανακουφίσει πολύ, αν το αντέξετε! Η γυμναστική με βάρη ή αλλιώς η αναερόβια άσκηση, είναι ένα παρεξηγημένο είδος εκγύμνασης για τις γυναίκες εδώ και χρόνια. Μόνο και μόνο στο άκουσμα της λέξης «βάρη», έρχονται στο μυαλό τους αντιαισθητικά φουσκωμένα σώματα, χωρίς θηλυκότητα. Είναι καιρός λοιπόν να καταρριφθούν κάποιοι μύθοι και να δούμε γιατί οι γυναίκες έχουν να κερδίσουν αντί να χάσουν από τέτοιο είδος γυμναστικής..
Ας μιλήσουμε πρώτα για τα γυμναστήρια σαν χώρο εκγύμνασης. Είναι τουλάχιστον γελοίο το γεγονός ότι ακόμα και σήμερα, υπάρχουν χώροι στο γυμναστήριο που καθορίζονται από το φύλο. Συγκεκριμένα, το ότι ο χώρος με τα βάρη θεωρείται «ανδροκρατούμενος» είναι ένα πολύ συχνό και κακό φαινόμενο αφού αυτό απομακρύνει τις γυναίκες από το να ακολουθήσουν προγράμματα αναερόβιας γυμναστικής που όπως θα δούμε παρακάτω έχουν αρκετά οφέλη για τις γυναίκες. Ωστόσο το πρόβλημα δεν βρίσκεται μόνο εκεί. Τα βάρη είναι παρεξηγημένος τρόπος εκγύμνασης για πολλούς λόγους. Καταρχάς υπάρχει παρανόηση σε ότι αφορά τις ασκήσεις με βάρη. Οι περισσότερες γυναίκες πιστεύουν πως ο τρόπος αυτός γυμναστικής είναι φύσης «όλα ή τίποτα». Η αναερόβια άσκηση δεν γίνεται όμως μόνο για να βάλουμε όγκο στο σώμα μας, όπως πιστεύουν οι περισσότερες γυναίκες. Υπάρχουν πολλοί τρόποι να ακολουθήσουμε ένα τέτοιο «αντρικό» πρόγραμμα και να έχουμε τα επιθυμητά αποτελέσματα, αφού μπορούμε να επιλέξουμε εμείς το επίπεδο αντίστασης, τα κιλά που θα σηκώσουμε, τις επαναλήψεις που θα κάνουμε κ.ο.κ. Υπάρχει μια πληθώρα λοιπόν κατηγοριών στο χώρο αυτό που αναλόγως με την επιλογή μας θα έχουμε και τα αντίστοιχα αποτελέσματα, όταν φυσικά βρισκόμαστε σε ένα συγκεκριμένο πλαίσιο διατροφής και τρόπου ζωής. Ένας άλλος λόγος οφείλεται στα ίδια τα γυμναστήρια. Η επίσκεψη στο γυμναστήριο είναι μια ευχάριστη διαδικασία για όλους μας. Όμως, ακόμα και για κάποιον που επισκέπτεται απλά το γυμναστήριο για να «κρατηθεί σε φόρμα», οι τύποι στη γωνία επιδεικνύοντας τους μυς τους σηκώνοντας πολλά κιλά στο πάγκο είναι εκφοβιστική εικόνα για αυτούς και έτσι αποφεύγουν να βρίσκονται στον ίδιο χώρο ή στην ίδια «γωνία». Η κουλτούρα αυτή λοιπόν οδήγησε και τις γυναίκες στο να ακολουθούν μόνο προγράμματα aerobic ή να ιδρώνουν στους διαδρόμους του γυμναστηρίου για ώρες, γεγονός που τις απομάκρυνε σιγά σιγά από την αναερόβια γυμναστική, η οποία συνήθως γίνεται σε αυτές τις «γωνίες». Όμως, η αποφυγή των ασκήσεων με βάρη και αντιστάσεις σαν αποτέλεσμα έχει ουσιαστικά απομακρύνει τις γυναίκες από ένα μεγάλο μυστικό τρόπο για να χάσουν βάρος ο οποίος θα μπορούσε να τις σώσει από την σπατάλη αμέτρητων ωρών σε αερόβια γυμναστική και προγράμματα. Η αναερόβια άσκηση είναι απαραίτητη. Η αερόβια άσκηση είναι επίσης, αλλά αν συγκριθεί η συνολική προσπάθεια που χρειάζεται για την απώλεια λίπους ανάμεσα στα δύο είδη άσκησης είναι απλά πολύ πιο γρήγορο και εύκολο να χάσετε κιλά με την αναερόβια άσκηση από το να σπαταλάτε ώρες πολλές σε αερόβια προγράμματα γυμναστικής. Ας δούμε λοιπόν τον τρόπο..
Το κλειδί βρίσκεται στην άλιπη μάζα τους σώματος μας. Όταν κάνετε αναερόβια άσκηση λοιπόν δίνετε κάποιο ερέθισμα στο σώμα σας, λόγω έκκρισης συγκεκριμένων ορμονών (Αυξητική ορμόνη, IGF-1 κτλ) που με τη σειρά τους αυξάνουν την πρωτεινοσύνθεση και συνεπώς αρχίζουν “τυπικά” να συντίθενται περισσότεροι μυς. Είναι δεδομένο πως η μυική μας μάζα χρειάζεται περισσότερη ενέργεια για να συντηρηθεί από μόνη της σε σχέση με το λιπώδη ιστό. Αν και το πόσες ακριβώς θερμίδες καίει ο μυικός ιστός ενός ανθρώπου για να διατηρηθεί εξαρτάται από διάφορους παράγοντες, όπως το ποσοστό μυικής μάζας και tο μεταβολικό ρυθμό ηρεμίας, μία έρευνα που έχει δημοσιευθεί στο διεθνές επιστημονικό περιοδικό διατροφής, εξέτασε τα αποτελέσματα που είχε ένα πρόγραμμα αναερόβιας γυμναστικής σε άντρες και γυναίκες για 12 εβδομάδες και αποτίμησε την αύξηση των ενεργειακών αναγκών έως και 15% για κάποιον που ακολουθεί τέτοιου είδους προγράμματα. Άλλες παρόμοιες έρευνες, αλλά με μικρότερο χρονικό διάστημα ενασχόλησης με αναερόβια γυμναστική, έχουν δείξει πως η αύξηση στο μεταβολικό ρυθμό κυμαίνεται μεταξύ 6-8%! Ακόμα, στην ίδια έρευνα αναφέρθηκε και το γεγονός ότι η αναερόβια γυμναστική αυξάνει τον μεταβολικό ρυθμό ηρεμίας. Πως γίνεται όμως αυτό; Δίνοντας το ερέθισμα για αύξηση της πρωτεινοσύνθεσης (και συνεπώς της μυικής μάζας) ο οργανισμός οδηγείται σε μια αύξηση του μεταβολισμού μας για τις επόμενες ακόμα και 24 ώρες καθώς οι ανάγκες σε οξυγόνο αυξάνονται, γεγονός το οποίο έχει φανεί και από έρευνες που έγιναν σε πληθυσμό υπέρβαρων ατόμων, και εξέτασαν μόνο αυτό το φαινόμενο, ενώ παράλληλα υπήρχε έλεγχος της διατροφικής πρόσληψης. Συγκεκριμένα έχει βρεθεί ότι κάνοντας αναερόβια γυμναστική με ακόμα και λίγες επαναλήψεις, ο μεταβολικός ρυθμός κατά τη διάρκεια της νύχτας αυξάνεται έως και 8%. Έτσι λοιπόν χτίζουμε μυς οι οποίοι κάνουν τόσες πολλές δουλειές για μας χωρίς εμείς ουσιαστικά να το καταλαβαίνουμε. Αντιθέτως για να κάψουμε το λίπος που θέλουμε με τη αερόβια άσκηση χρειαζόμαστε ώρες ατελείωτες στο γυμναστήριο ή σε άλλους χώρους και το χειρότερο είναι ότι σε κατάσταση ηρεμίας ο οργανισμός δεν συνεχίζει να βρίσκεται σε υψηλούς ρυθμούς καύσης. Ωστόσο κάποιες γυναίκες εξακολουθούν να προτιμούν την αερόβια γυμναστική για διάφορους λόγους. Κανένα πρόβλημα με αυτό. Οτιδήποτε είναι καλύτερο από τον καναπέ! Αυτή είναι και η κύρια ερώτηση που κάνουν οι γυναίκες όταν περνάνε το πρώτο στάδιο, δηλαδή έχουν καταλάβει πως οι ασκήσεις με βάρη είναι ευεργετικές. Η απάντηση σε αυτήν την ερώτηση είναι απλή για κάποιον που έχει γνώσεις φυσιολογίας. Καταρχάς οι γυναίκες δεν καταναλώνουν την ίδια ποσότητα θερμίδων που καταναλώνουν οι άντρες. Εάν ισχύει όμως το αντίθετο για κάποια γυναίκα τότε έχουμε άλλα αποτελέσματα. Όταν το θερμιδικό μας ισοζύγιο είναι θετικό, δηλαδή τρώμε περισσότερες θερμίδες από όσες χρειαζόμαστε, τότε το σώμα μας αλλάζει. Το να κατηγορήσουμε όμως τα βάρη για μία αλλαγή στο βάρος μας είναι η εύκολη λύση όταν καταναλώνουμε παραπάνω θερμίδες από όσο πρέπει. Προσοχή λοιπόν γιατί το θέμα όγκου είναι κυρίως θερμίδων που καταναλώνουμε και όχι από τα βάρη που κάνουμε. Όσον αφορά τη «μορφή» που θα πάρει το σώμα μας.. Πολλές γυναίκες πιστεύουν πως το σώμα τους θα γίνει αντρικό κάνοντας τέτοιου είδους ασκήσεις. Ας γυρίσουμε και πάλι στη φυσιολογία. Μια γυναίκα είναι σχεδόν αδύνατο να φτάσει τη μορφή ενός άντρα αφού εκ φύσεως δεν μπορεί να εκκρίνει την ίδια ποσότητα τεστοστερόνης που μπορεί να εκκρίνει ένας άντρας. Η τεστοστερόνη είναι η κύρια αντρική ορμόνη, που οφείλεται για τα εξωτερικά χαρακτηριστικά των αντρών, τα οποία μια γυναίκα δεν μπορεί να αναπτύξει λόγω πολυ μικρής έκκρισης αυτής. Αντιθέτως, με την αναερόβια γυμναστική οι γυναικες μπορούν να επιτύχουν ένα καλογυμνασμένο σώμα, το οποίο μπορεί να προσφέρει πολλά οφέλη όσον αφορά τη μείωση του λίπους, χωρίς να είναι ακραίο για απλούς λόγους. Ωστόσο ένα πολύ συχνό φαινόμενο στις γυναίκες είναι ότι φοβούνται να αυξήσουν τα κιλά που σηκώνουν γιατί πιστεύουν πως το σώμα τους θα πάρει αντρική μορφή ενώ μερικές είναι απλά «φυγόπονες» (βάζω και τον εαυτό μου εδώ πριν μερικά χρόνια..). Η κατηγορία αυτή των γυναικών εκτός του ότι δεν θα διαπιστώσει σχεδόν καμία αλλαγή στο σωματότυπό τους, δεν θα αποκομίσει και τα οφέλη που προαναφέρθηκαν στην παραπάνω ερώτηση.Έρευνες έχουν δείξει πως προγράμματα με βάρη σε υψηλή ένταση αλλά με λίγες επαναλήψεις ή χαμηλής έντασης αλλά με επαρκείς επαναλήψεις είναι εξίσου πιο ωφέλιμα από ένα πρόγραμμα χαμηλής έντασης και λίγων επαναλήψεων όσον αφορά την πρωτεινοσύνθεση και συνεπώς της αύξησης της μυικής μάζας. Έτσι λοιπόν, αφήστε το φόβο πίσω σας και ξεκινήστε ένα τέτοιο πρόγραμμα δίνοντας το μέγιστο της δύναμης σας. Οι ασκήσεις με βάρη θέλουν ένταση, ταχύτητα και δύναμη..
Αν λοιπόν είστε γυναίκα και έχετε σκοπό να ξεκινήσετε κάποιο είδος αναερόβιας γυμναστικής, αυτό μπορεί να γίνει και στο σπίτι σας εύκολα και γρήγορα ακολουθώντας προγράμματα όπως αυτό, υψηλά σε ένταση και δύναμη! Koziris, L. P., R. C. Hickson, R. T. Chatterton, et al. 1999. Serum levels of total and free IGF-1 and IGFBP-3 are increased and maintained in long-term training. J. Appl. Physiol. 86:1436 –1442.